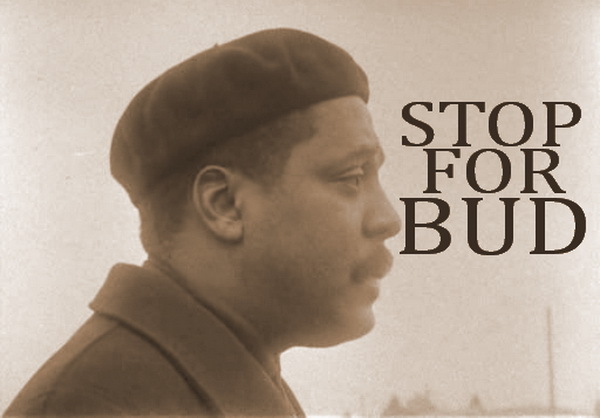 In 1963, a short experimental film was made about Maestro Bud Powell. Half a century later, some musings about that Danish film and Bud. Bud means the wind if you are a Farsi speaker. Thus, for me, the name defines the music. Although one of my favorite pianists in jazz, whom I discovered with Bud Plays Bird LP, is never as fiery as one expect from the wind. He is a bipolar giant. When playing I Remember Clifford at the Golden Circle club in Sweden, it seems that music would stop any second. The melody blurs. The harmonies become foggy. The beat tends to get lost, and a moment later, found again. The seemingly dying music continues for nearly nine minutes. Through Clifford Brown's memory, Bud is lamenting himself, his very existence. That bipolarity could come to the surface in other forms, too. In a struggle between a classical completionist mode - when your piece have a clear beginning, middle and the end - and a sense of incompleteness and constant transfiguration which makes it hard to detect the real core of the music. From the first category, the jewel of all Blue Note recordings, The Scene Changes, from 1958, is documented to the degree of perfection. All the songs are originals and executed neatly around 4 to 5 minutes. The second category is mostly consisted of tunes in slower tempos, as if Bud never manages to finish what he has started. Music of the second category is the closest thing to films of Japanese director Yasujiro Ozu: static, organic and free from overstatement and jagged emotions - painfully true and precise. Even in the later years, after gaining weight, with a motionless figure and impassive face staring at nowhere, Bud began to look like Buddha.